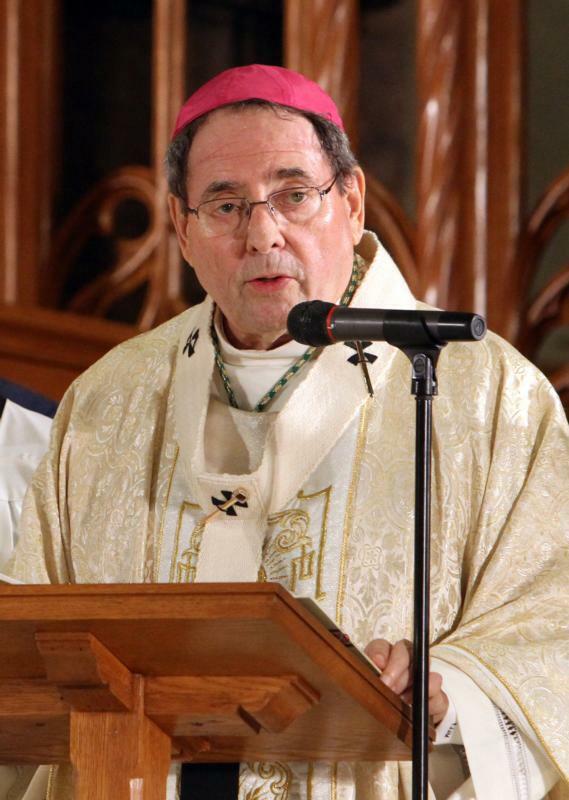 TRENTON, N.J. (CNS) — The Catholic bishops of New Jersey have added their voices to those of other Catholic Church leaders around the nation in opposing an abortion advocacy ad campaign by a group calling itself Catholics for Choice. The organization placed full-page ads Sept. 12 in the print editions of more than 20 local and national publications, including Politico, the Nation, the Chicago Sun-Times, the Philadelphia Inquirer, the Dallas Morning News and La Opinion. In New Jersey, the ad ran in The Star-Ledger and The Record (of Bergen County). Digital advertising also was included in the campaign, which featured a statement by a young woman who claimed to be Catholic and who condoned abortion. The ad aimed to portray the public funding of abortion as a social justice issue. Catholics for Choice said in a news release that its “Abortion in Good Faith” campaign was a multiyear effort to overturn the federal Hyde Amendment, which bars the use of federal funds for virtually all Medicaid abortions. To communicate authentic church teaching on the sanctity of human life and the evil of abortion, the New Jersey bishops commissioned an ad campaign that will include several daily newspapers, and be placed throughout diocesan media outlets and other church-based resources. The central image of the campaign features a photo of Pope Francis kissing a baby during his visit to Philadelphia last fall. Taken by John Blaine, a freelance photographer for The Monitor, Trenton’s diocesan newspaper, the photo originally was part of the Trenton diocesan newspaper’s online coverage of the papal visit. The ad lists several statements made by the Pope Francis — both when he was Cardinal Jorge Mario Bergoglio and now as the pope — about the sanctity of human life and every person’s call to protect life in the womb. The key message of the ad is: “You cannot be Catholic and pro-abortion. The only ‘choice’ for Catholics is life.” The ads ran in The Star-Ledger and The Record Sept. 18. Similar responses to the abortion ad campaign played out across the country in the days following Sept. 12. “Calling for taxpayer funding of abortion in the name of the Catholic faith” is “deceptive” and “extreme,” said New York Cardinal Timothy M. Dolan, who serves as chairman of the U.S. bishops’ Committee on Pro-Life Activities. When a priest sees poverty on the street, every day, as he leaves his pastoral residence and is driven to a $1.5 million dollar mansion, built with the money collected from the Sunday collections, he should not be throwing stones.